Buying a new home can get stressful and costly - but it doesn't have to be. 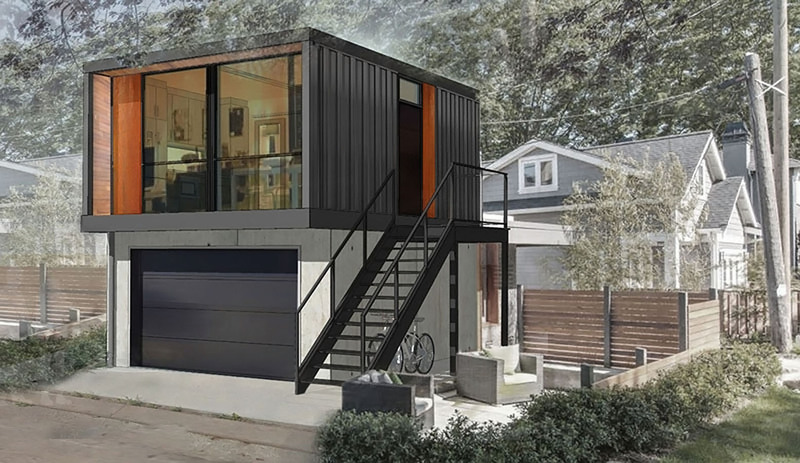 Canadian company HonoMobo built an entire collection of flexible, multi-use living units out of reused shipping containers. You can use the structures as a backyard cottage, garage suite, weekend getaway or combine them to create apartments and multi-family developments. The fact that you can simply order HonoMobo houses online makes them even more appealing to homeowners. The company designed three types of units with different layouts and sizes. The small 352 square foot HO2 house has an open plan with a full bathroom and functional kitchen. The HO3 knits three containers together to create a bedroom, bathroom, living room and a large kitchen with an island. The HO4 is the company’s largest, and perhaps most efficient unit with four containers stitched together to create a beautiful, spacious, two bedroom suite in 640 square feet. All HonoMobo models come photovoltaic-ready and include an air source heat pump and air source hot water tank as greener alternatives to standard electric baseboard heaters and hot water tanks. The company designed three types of units with different layouts and sizes. The small 352 square foot HO2 house has an open plan with a full bathroom and functional kitchen. The HO3 knits three containers together to create a bedroom, bathroom, living room and a large kitchen with an island. The HO4 is the company's largest, and perhaps most efficient unit. 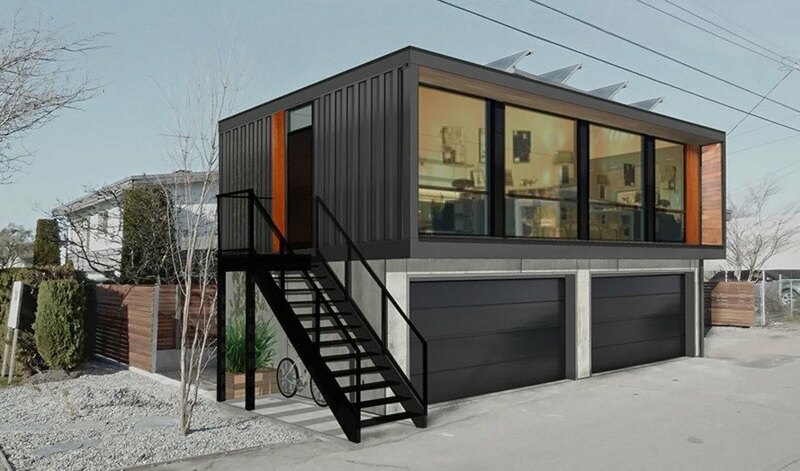 Four containers are stitched together to create a beautiful, spacious, two bedroom suite in 640 square feet.